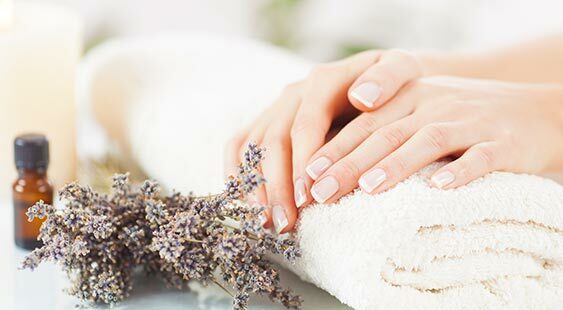 All of our spa services are done using all natural products from Epoch by Nu Skin. The tried and trusted botanical ingredients are derived from renewable resources. Responding to your skin’s needs in a natural, comforting, and therapeutic way. Starting with an epoch herbal mineral bath soak, followed by a gentle exfoliating with liquid body lufra and finish with a soft yet intense hydrating baobab body butter for all day moisturize. Starting with an epoch herbal mineral bath soak, followed by a gentle exfoliating with liquid body lufra and top it off with the revitalizing ice dancer invigorating gel massage and hot towel wrap to revive, stimulate and soothe tired achy arms and hands. Finish with a soft yet intense hydrating baobab body butter to deliver all day moisturizing. Starting with an epoch herbal mineral bath soak, followed by a gentle massage and exfoliation with natural liquid body lufra. After nails and cuticles are carefully trimmed and shaped, heels are treated with sole solution foot treatment. Finished with a traditional lower leg massage using body smoother lotion, leaving your skin feeling silky. 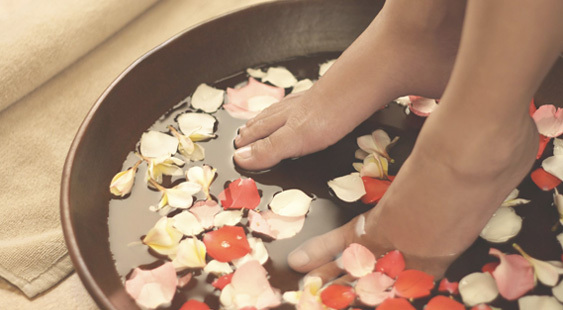 Your feet have been waiting for this rejuvenating pedicure. Say ahh… to a warm whirlpool soaking with epoch herbal mineral bath then a gentle massage with natural liquid body lufra exfoliation. While a regular pedicure components and tented, a calf massage with the invigorating ice dancer leg gel and steamy towel wrap are added for restoring vitality and energizing the legs. Dry heels are also treated with sole solution foot treatment. Finish with a soft yet intense hydrating baobab body butter for an ultimate experience. Dive into the refreshing, rejuvenating, and sharp aroma of Epoch Essential Oils, combining the wisdom of ages with modern science, for an ultimate pedicure experience. While a regular pedicure components and tented, a calf massage with the invigorating oils and steamy towel wrap are added for restoring vitality and energizing the legs. Dry heels are also treated with sole solution foot treatment. Finish with a soft yet intense hydrating baobab body butter for an ultimate experience. Indulge in this guilty pleasure without guilt. The fire walker pedicure will leave your feet and legs feeling amazing. Using epoch herbal mineral bath, a blend of grapefruit body bar and liquid body lufra exfoliating and top it off with revitalizing ice dancer invigorating leg gel massage and hot towels wrap to bring your pedicure experience to a whole new level. Along with our most famous sole solution heel treatment, finger pressure massage techniques using fire walker foot cream will take all the tiredness away. Finish with the ultimate soft baobab body butter. Professional full service nail care salon with a wonderful reputation.